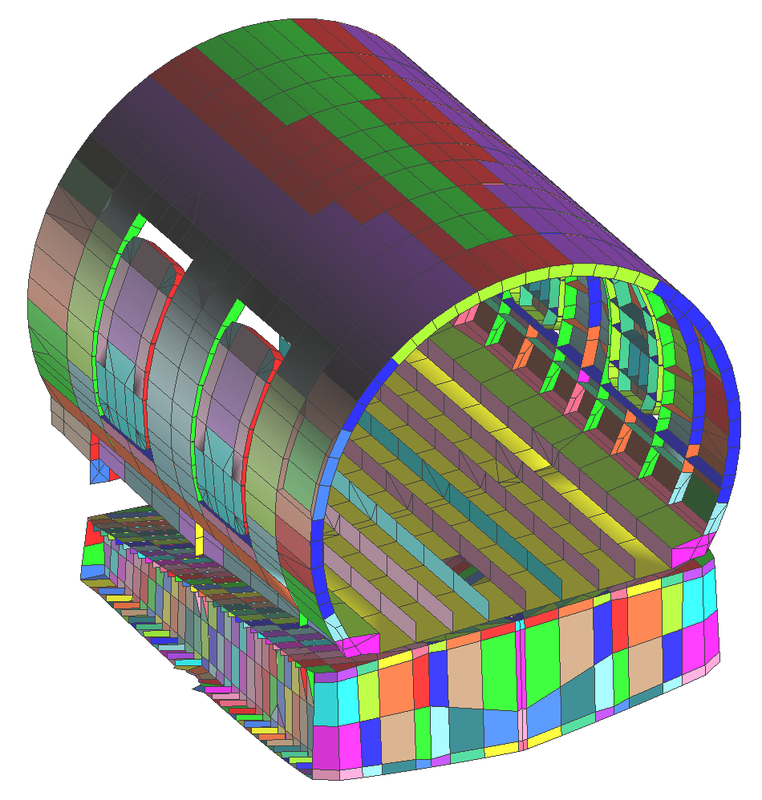 MSC Nastran is a multidisciplinary structural analysis application used by engineers to perform static, dynamic, and thermal analysis across the linear and nonlinear domains, complemented with automated structural optimization and award winning embedded fatigue analysis technologies, all enabled by high performance computing. Engineers use MSC Nastran to ensure structural systems have the necessary strength, stiffness, and life to preclude failure (excess stresses, resonance, buckling, or detrimental deformations) that may compromise structural function and safety. MSC Nastran is also used to improve the economy and passenger comfort of structural designs. Virtually prototype early in the design process, saving costs traditionally associated with physical prototyping. Remedy structural issues that may occur during a product’s service, reducing downtime and costs. Optimize the performance of existing designs or develop unique product differentiators, leading to industry advantages over competitors. 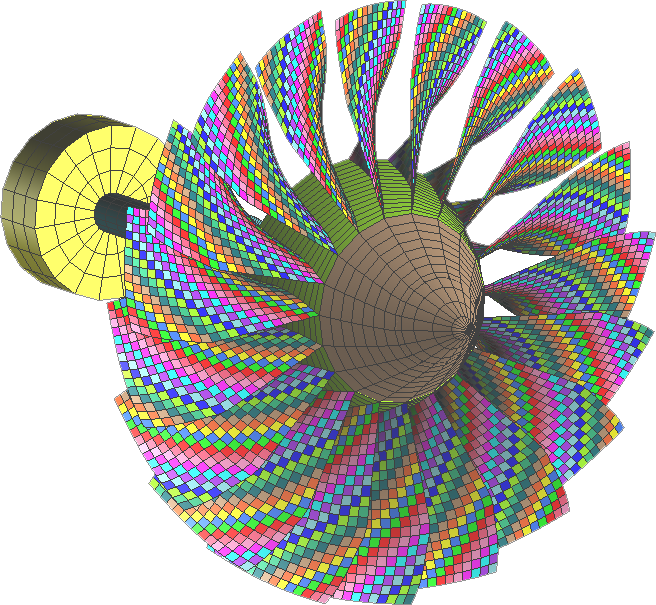 MSC Nastran is based on sophisticated numerical methods, the most prominent being the Finite Element Method. Nonlinear FE problems may be solved with built-in implicit numerical techniques. A number of optimization algorithms are available, including MSCADS and IPOPT. 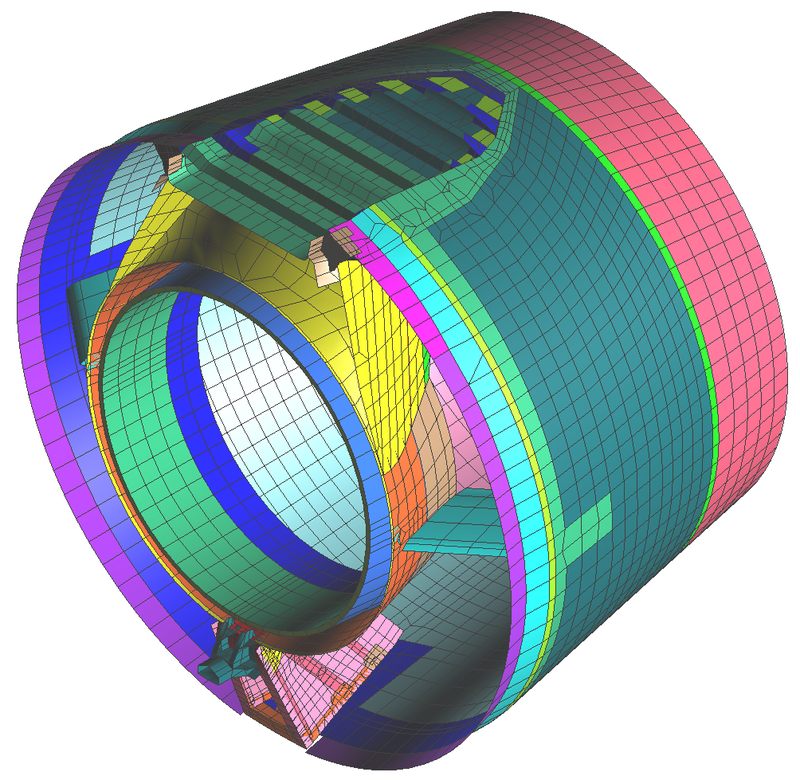 The fatigue capability in MSC Nastran has been developed jointly by nCode International Ltd. and MSC Software. 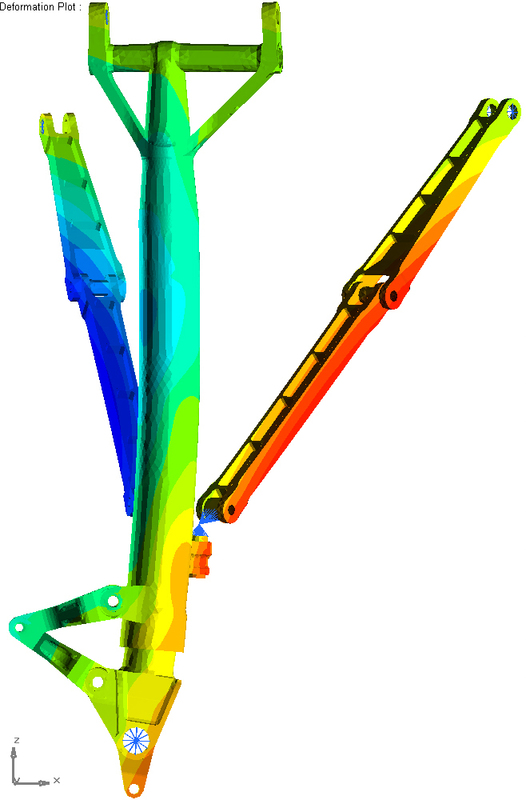 Common structural analysis solutions are dedicated to one or a few analysis disciplines. To build up a comprehensive level of engineering analysis capability, multiple software solutions must be acquired, and users must be trained with each new tool. 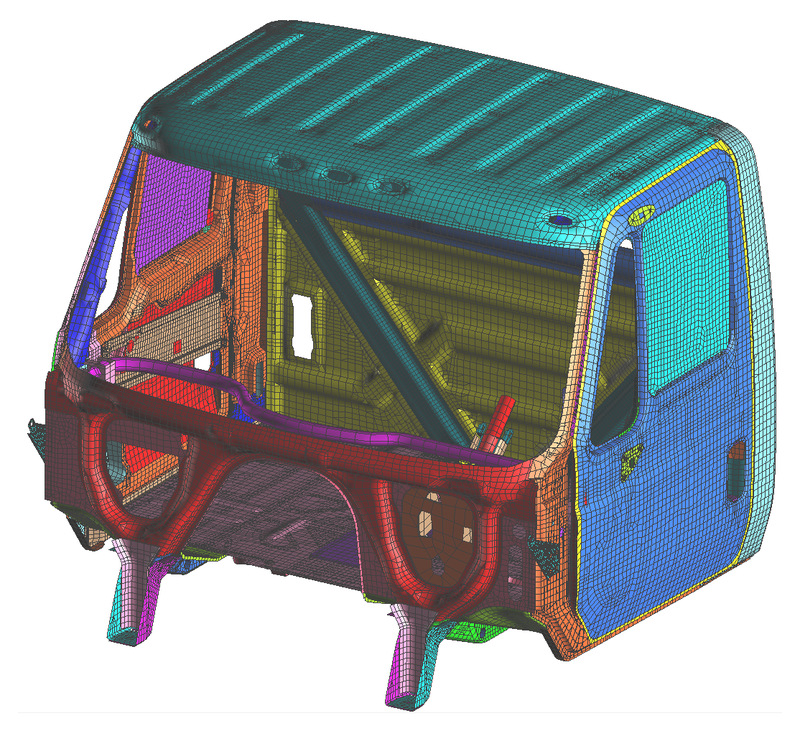 MSC Nastran features multiple analysis disciplines, enabling customers with one structural analysis solution for a wide variety of engineering problems. PSA Peugeot Citroën. 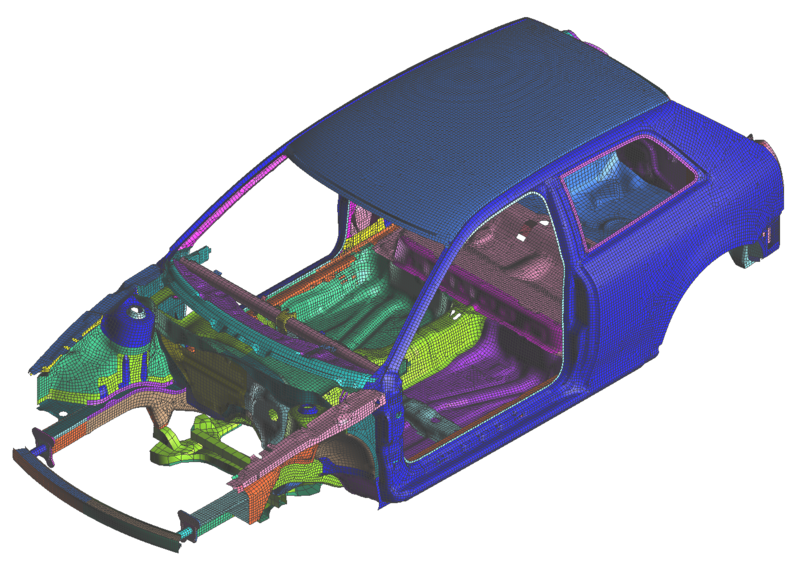 PSA Peugeot Citroen Selects MSC Nastran as Its Choice for Nonlinear FEA. C.R.I. Pumps. C.R.I. 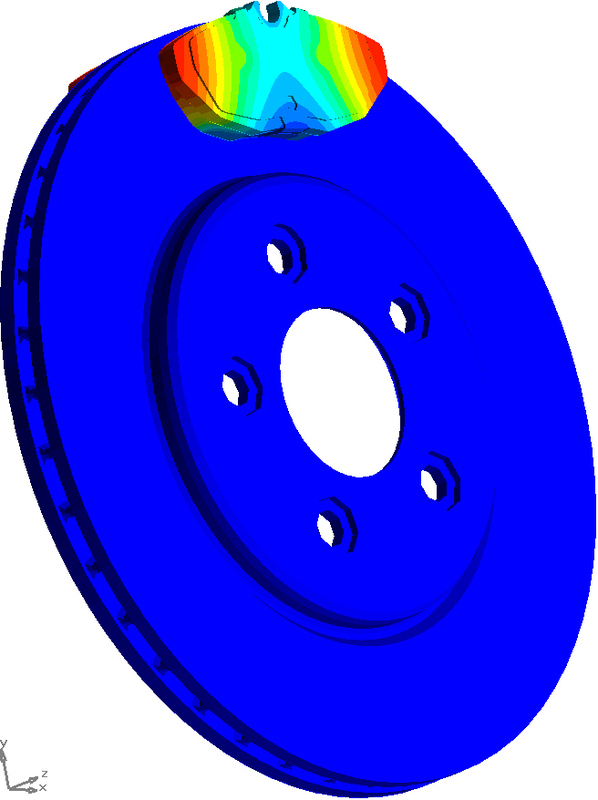 Pumps Selects MSC Nastran for its Unique Linear & Nonlinear Integration. One structural member is rarely analyzed independently. Structural systems consist of numerous components, and must be analyzed as a whole. MSC Nastran features a number of methods to join multiple components for system level structural analysis. Use "Modules" to combine and manage multiple components of a structure and form a complete assembly without the need to use additional connection elements or worry about the ID numbering schemes. Design optimization is a critical element in product development, but is often very iterative and requires a great deal of manual effort. MSC Nastran includes optimization algorithms that automatically seek optimal configurations in an allowed design space. Optimize for stress, mass, fatigue, etc. while varying design variables such as material properties, geometric dimensions, loads, etc. BMW AG. 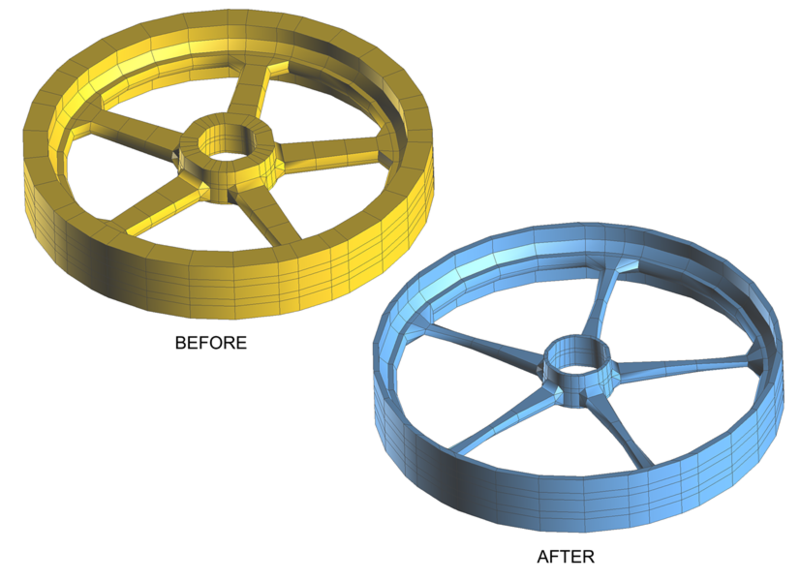 Full vehicle early-phase concept optimization for premium NVH comfort at BMW. Analysis models can be very large in size, requiring an extended period of time to solve. 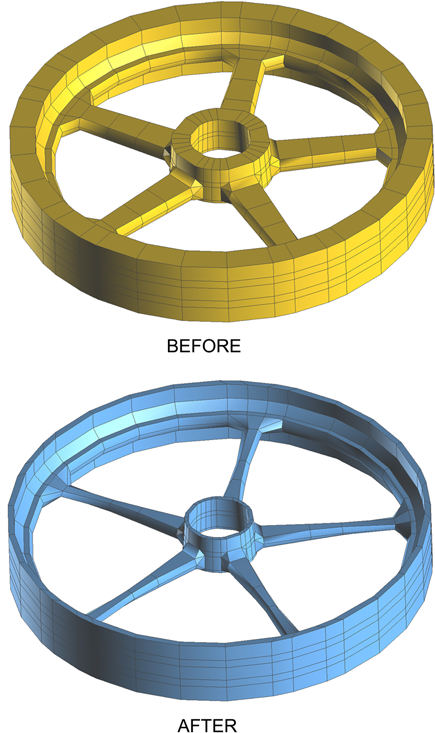 Such models can take hours or days to solve with traditional FEM applications. MSC Nastran features a number of High Performance Computing capabilities enabling engineers to solve large problems fast. Accelerate simulation time and obtain higher performance for large models using the Automatic Solver Selection feature. 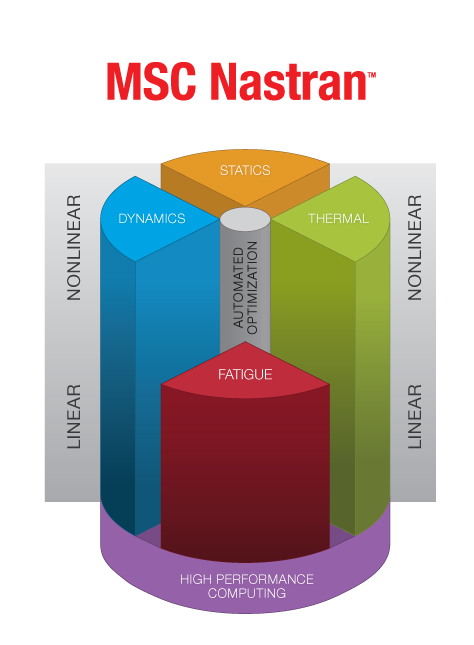 MSC Nastran can automatically select the optimal solver and the most efficient parallelization method to use based on the analysis specifications (element types, solution type, available memory and etc). Kosme. User Case Study - Kosme. Technical support, often rated 4.5 out of 5 by customers. The MSC Learning Center, a subscription that entitles a user to the entire MSC Nastran training course catalog. MSC Nastran expertise, MSC Software was one of the original developers of the first NASTRAN code and has continuously developed MSC Nastran for over 40 years. Our MSC application engineer comes out at least once a month to see how we are doing and help us with any issues. In fact this plane would have been impossible to model without the phone support, on-site visits and consulting services provided by the MSC support team"
Boeing, and GE Aviation. Global Services Brochure. For general and product specific platform support, please visit our Platform Support page. 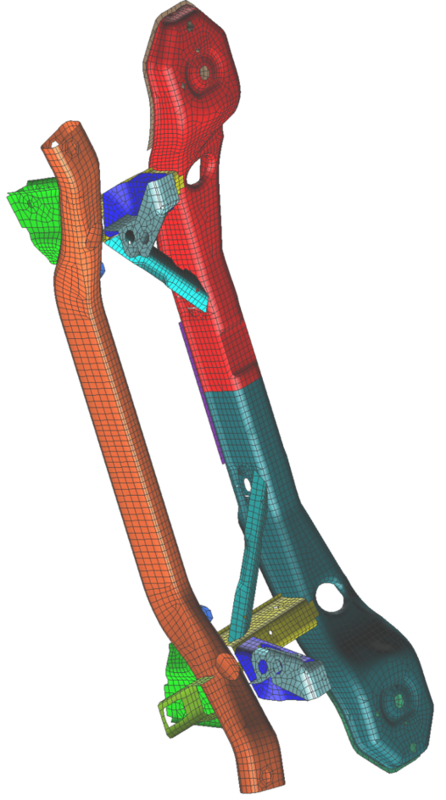 What's New in MSC Nastran 2018?